This month, we’re reminded of the importance of taking care of our world by reducing our use of disposable plastics. Did you know that over the last ten years we have produced more plastic than during the whole of the last century? According to EcoWatch, this massive amount of plastic production contributes to the billions of pounds of plastic that are taking up about 40% of the world’s ocean surfaces. Not only has our plastic waste contributed to the deaths of over one million seabirds and 100,000 marine mammals, it’s getting into our bodies as well. Reduce your contribution to the growing plastic pollution issue by choosing to use less plastic. Ways to do this include buying in bulk at grocery stores or choosing products packaged in cardboard or glass instead of plastic. Reuse products when you can. Our lives already include common reusable products like forks, knives, spoons and dishware. What about expanding that usefulness to include reusable snack bags instead of plastic bags? Rehydrate with a reusable water bottle. It’s no secret that at BSTI we love our reusable water bottles. We love them so much, we want to give some away for free! 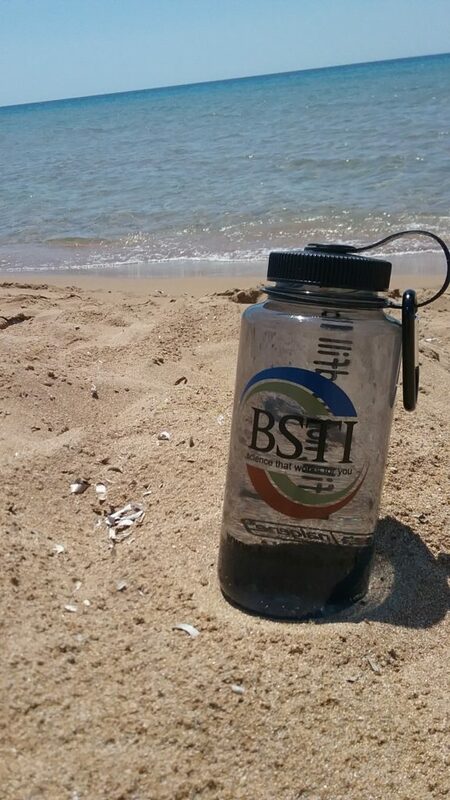 Tell us your story for a chance to win a BSTI water bottle! Let us know how you have helped prevent plastics from entering our environment by sharing your story with us. Submit your story as a comment below, and on August 1st, 2017, we’ll pick 5 winners to receive a stylish BSTI reusable water bottle!